The fact that virtually every flats fishing angler in North America has heard of Christmas Island is far from coincidence. Amidst the vast inventory of the world’s saltwater flats destinations, Christmas Island is a unique and natural masterpiece that magically combines all the elements critical to fly fishing success. Endless hard sand flats fishing, remarkable numbers of cruising bonefish and trevally, and consistent year-round weather await all who visit this unique atoll. 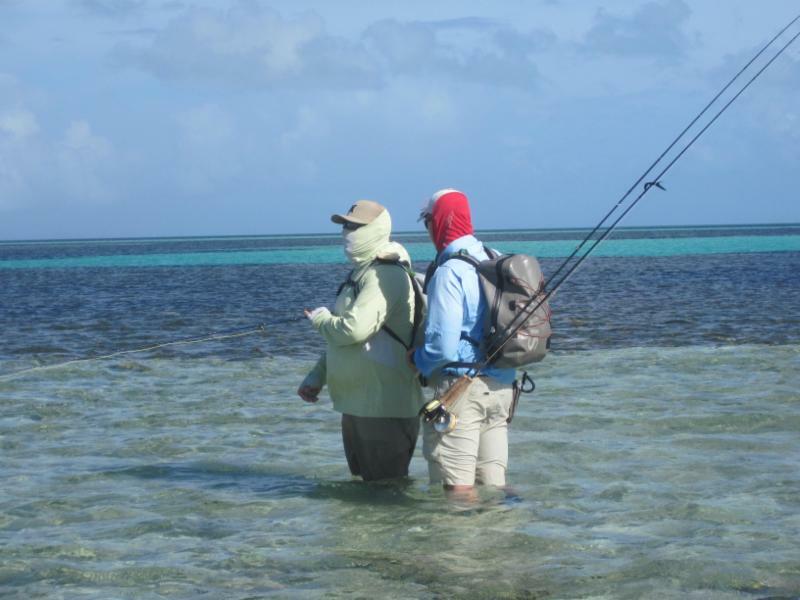 Fly fishing guides at Christmas Island Outfitters have been handpicked by head guide Peter Kairoi for their overall level of experience, skill, calmness under pressure, and instructional abilities. Each day anglers will depart via truck or catamaran for the day’s flats fishing. Virtually all fly-fishing entails sight casting to fish while wading in shallow waters. Christmas Island’s plentiful bonefish average two to three pounds, although on any given week opportunities for larger bonefish in the five to ten-pound class may be available. 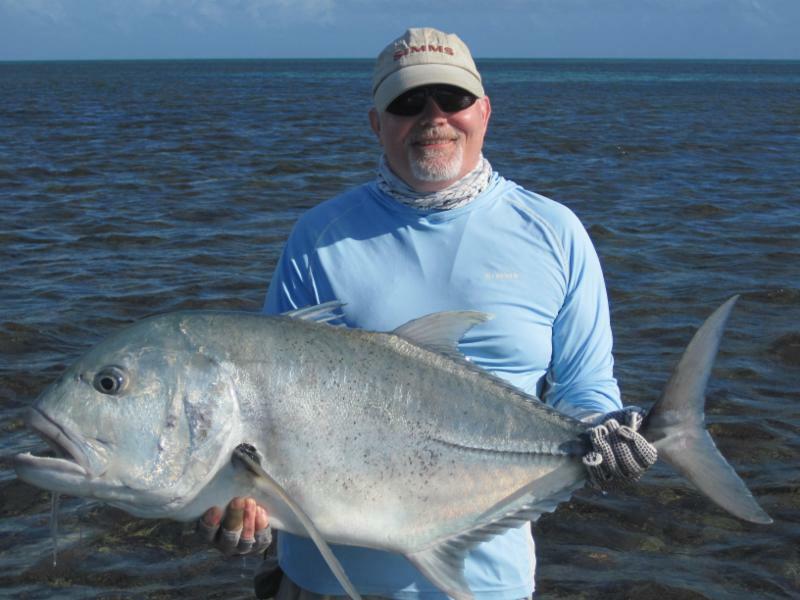 The fly-fishing guides at Christmas Island Outfitters are also among the atoll’s most skilled and passionate trevally hunters and love nothing more than to share with their guests the thrill of hooking these monsters. Excellent blue water fishing for tuna, wahoo, and trevally is also available. Although accommodations and meals at Crystal Beach Lodge are simple and rustic, the lodge is located on a stunningly beautiful coral beach overlooking the mighty Pacific Ocean. Whether you are an experienced saltwater angler or a novice keen on honing your flats fishing skills, Christmas Island Outfitters at Crystal Beach Lodge offers an intimate and thrilling angling experience unlike anything else in the world. Christmas Island (Kiribati) is located 1,200 miles south of Hawaii. Christmas Island Outfitters head guide is Peter Kairaio. Peter is recognized as one of the island’s top guides. He is joined by a small group of hand-picked professionals who are amongst the islands most skilled and personable fly-fishing guides. All have excellent eyes for spotting fish, calm temperaments under the pressure of sight fishing and are skilled instructors. By design, Christmas Island Outfitters has limited its program to no more than twelve anglers per week. As a result, the lodge boasts a highly flexible flats fishing program that can take full advantage of varying tides and fishing conditions. Each evening Peter will lead a discussion on the program for the following day’s fishing based on the conditions at hand. It is likely that your departure time from the lodge will vary each morning, according to the tides and where you will be fishing. Transportation to and from the vast flats of Christmas Island is via truck and outrigger. Both are equipped with bench seats, canopies, and rod holders. Each six-day fishing week includes anglers reaching the flats either by truck or outrigger depending on the fishing goals for the day. Christmas Island is the world’s largest coral atoll and a virtual paradise for stalking bonefish. Having almost single-handedly brought the sport of fly-fishing for bonefish into the public consciousness, Christmas Island remains one of the best destinations in the world for both beginning and advanced saltwater anglers alike. The reasons for this are many. 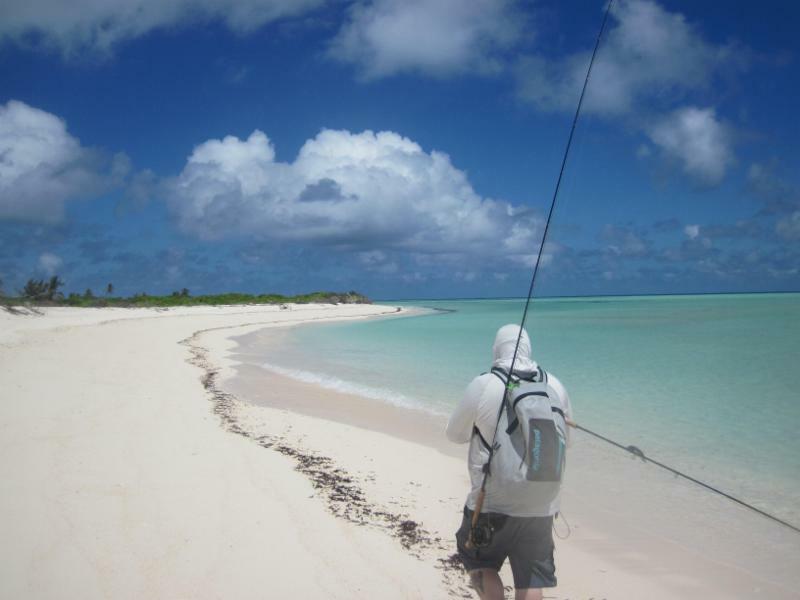 First, the island’s vast hard sand flats enable anglers to wade fish all day in relative solitude. 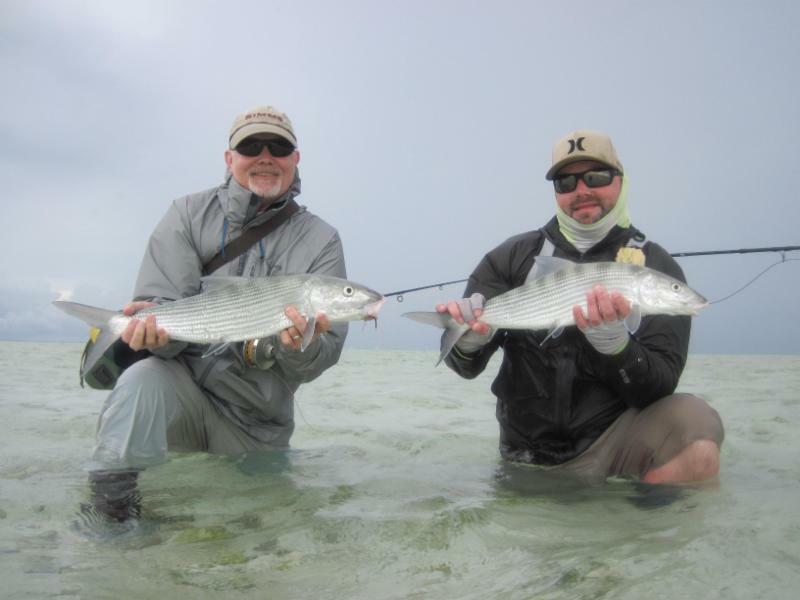 Second, the flats hold great numbers of bonefish that cruise in shallow water, providing anglers with constant opportunities or “shots” throughout their visit. Lastly, but certainly not the least, the atoll’s proximity to the equator (less than 200 miles) has blessed Christmas Island with consistently good weather, which enables a quality fishing experience year-round. While the majority of the island’s bonefish average two to four pounds, fish in the five to eight-pound class are always a real possibility, as are several species of trevally. 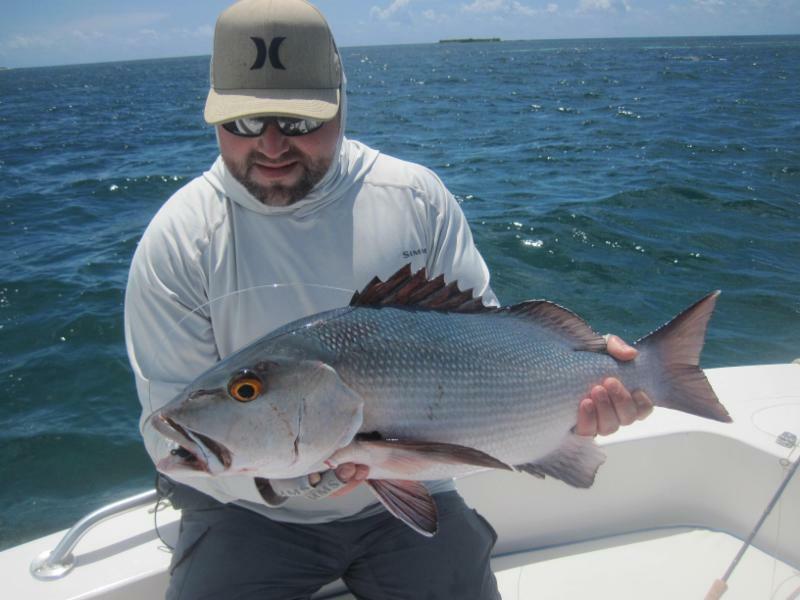 Christmas Island Outfitters is a small operation taking a maximum of twelve anglers per week. The lodge is located halfway between the airport and London on a secluded section of beach. Accommodations consist of three split level buildings, each with four separate units. Each room is configured to house two anglers and have a private bathroom. Rooms are very simple, relatively rustic but kept clean and features ample space for your gear. Top floor rooms look out at the vast Pacific Ocean with fantastic ocean breezes that fill your room. Air conditioning is not required to keep anglers comfortable, but all units do have A/C. Your room will be cleaned and restocked with soda, water and beer every day during your stay. Each unit is equipped with screened windows, fans, a small refrigerator, and simple plastic table and chairs. Meals are a very basic and regularly comprise fresh seafood (snapper, tuna & wahoo, lobster, mantis shrimp), chicken, pork, rice, pasta and sometimes steak. Fresh vegetables and fruit are very hard to keep in supply. There is nothing fancy or luxurious about Christmas Island. Accommodations are very simple and provide a clean, comfortable space to lay your head at night. As you drift off to a restorative sleep each night, you'll listen to the sound of waves crashing on the reef and dream of the next greedy bonefish or cruising trevally to attack your fly. Anglers should think of the facility as a "fish camp" built for one purpose, to provide a functional base camp by which to explore some of the most productive, beautiful and remote flats found anywhere in the world. Monday: Arrive Honolulu and overnight at your elected accommodations (independently arranged, not included). Tuesday: Depart Honolulu and arrive Christmas Island where you will be transported to the lodge. Wednesday through Monday: Six full days of guided fishing. Tuesday: Depart Christmas Island and arrive Honolulu* for your connecting flight home or points beyond. Note: Please be aware that this flight crosses the International Date Line, so when you depart the island it will be Wednesday, and when you arrive in Honolulu it will be 10:50 AM on Tuesday. If you are planning on connecting with a flight home from Honolulu the same day, please do not book a flight prior to 1:00 PM to ensure a smooth connection. Anglers will be required to clear customs and immigration, collect baggage, and re-enter the security checkpoint. Note: Please keep in mind that your daily schedule will vary in accordance with tides and your fishing desires.